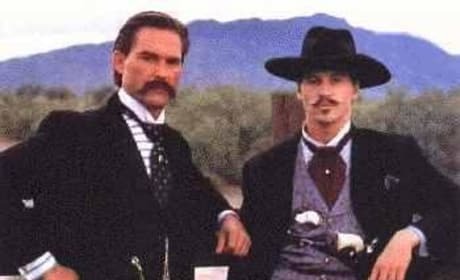 Wyatt Earp (Kurt Russell) and Val Kilmer (Doc Holliday) in the 1993 western movie "Tombstone." 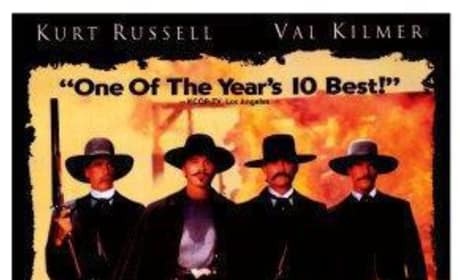 You have to love these two and the story of the shootout at the OK Corral. Justice is coming to the Southwest. 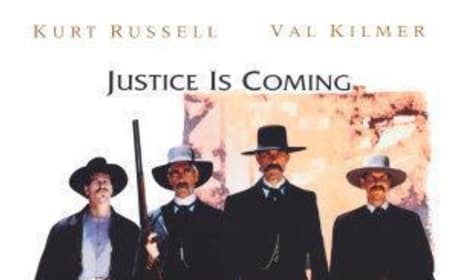 A very successful lawman's plans to retire anonymously in Tombstone, Arizona, are disrupted by just the kind of outlaws he grew famous for eliminating. It's time to settle the score.